Bethany Hill serves as Lead Learner, Chief Energy Officer, and Chief Storyteller at Central Elementary in Cabot, Arkansas. 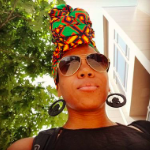 She has been in education for 19 years in the roles of kindergarten, first, second, and third-grade classroom teacher, curriculum coach, assistant principal, and principal. 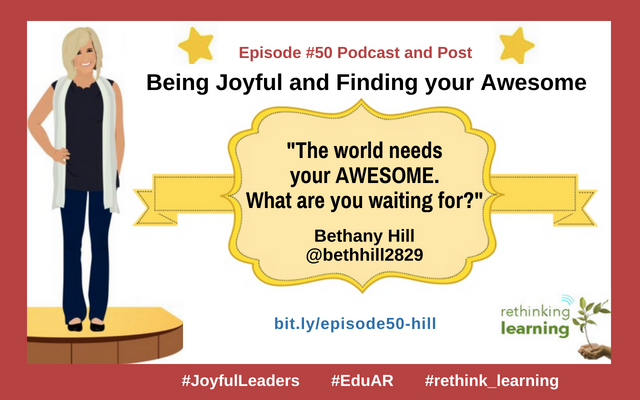 Bethany is one of the originators of #EduAR and founder of #JoyfulLeaders. I live right outside of Little Rock, Arkansas about 30 minutes from the capital in a community of Cabot. I went away for college and came back to live here. 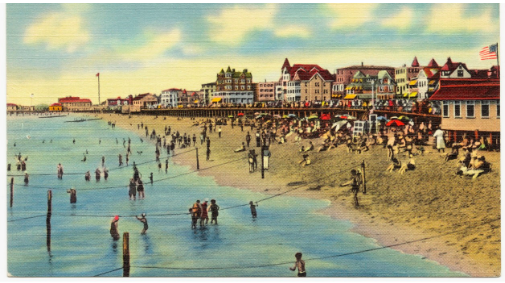 All of my family lives here. I have been married to my high school sweetheart for 24 years. We have two boys. 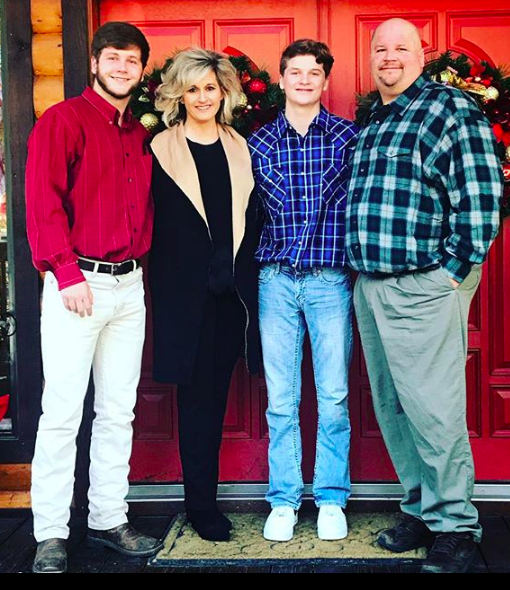 Tyler went to the University of Arkansas as a secondary education planning on teaching math at the middle or high school level and coach. Garrett just finished 9th grade at the Cabot Freshman Academy in the same district I serve as a principal. When I was a little girl, I grew up with the best parents ever. We did not have a lot of money, grew our own food, and my mother made our clothes. That was my world, but I never wanted for anything because I was very loved and cared for. From the time I was very little, I just wanted to teach. I pretended to teach my stuffed animals, created a teacher name for myself, and it was always what I did. No one in my family went to college so that was a big dream for me and I did in spite of not having the financial backing for it. We found ways to make it happen. I’m the first one to graduate from college in my family and then to go on and get a masters. I’m very proud that my son will be the second one to graduate from college from my side of the family. We have about 500 kids in pre-K to 4th grade. We have quite a few young children, around 100 of the kids four-year-olds. We have 70 certified and classified staff and we’re in Cabot School district with about 12,000 which for Arkansas which is quite big. When I first became principal there, we were around 400 kids but we’ve had a growth in our community in the last couple of years. I added a new Pre-K classroom a couple of years ago and last year an additional Kindergarten classroom, so we’re full now with no extra room. I was assistant principal at a different school down the street and had to step into a new role with a new staff. I didn’t know what to expect and either did the staff. We spent a whole year building relationships. 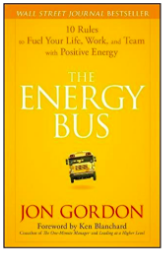 We started with the Energy Bus by Jon Gordon that the whole staff read even though it was really not about education and was for adults. The book has 10 rules that are guiding principles on how to live a joyful life. The story is around a parable of a man named George who was negative with the glass half empty, had a lot of negative things happen to him, and was in a negative place in his life. He meets someone called Joy who shows him a different perspective. Over time, he begins to learn that it really is how he sees the world not what’s happening to him. It’s a very empowering book and wanted to start with it because I didn’t know where everyone was professionally speaking. 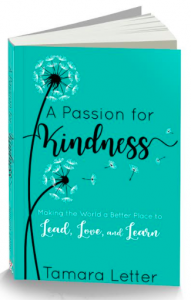 The book was a starting point for forming a bond, growing the same vision, and caring about ourselves as educators before we take care of kids. That first year was really great to get to know everyone, know the kids, and learning the culture of the building. The second year, we kept on learning from the Energy Bus and grow from that and became an Energy Bus Model Campus. Things fell into place because we were celebrating success. When Jon Gordon decided to transform that part of his company, he had been following some of the things we were doing at out school. They reached out to us to see if we would pilot the idea of a Model Campus and that has been a great experience. 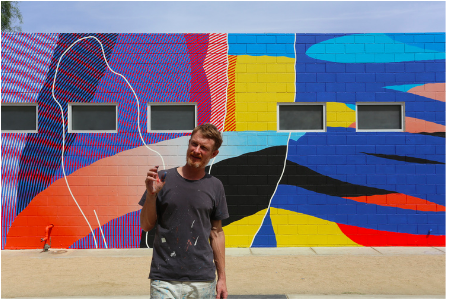 We embedded that language into our building and families and community picked up on it. After they review the 10 rules, there is a teacher pledge about having a positive outlook over the school year. It is a great way to kick off the year in a big and positive way to set everyone up for success. 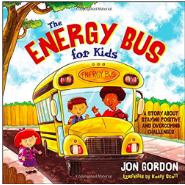 There is a children’s book also about the Energy Bus with 5 rules in it. All of our classrooms have that book and they read the book to their kids to go over the 5 rules and take the student pledge. 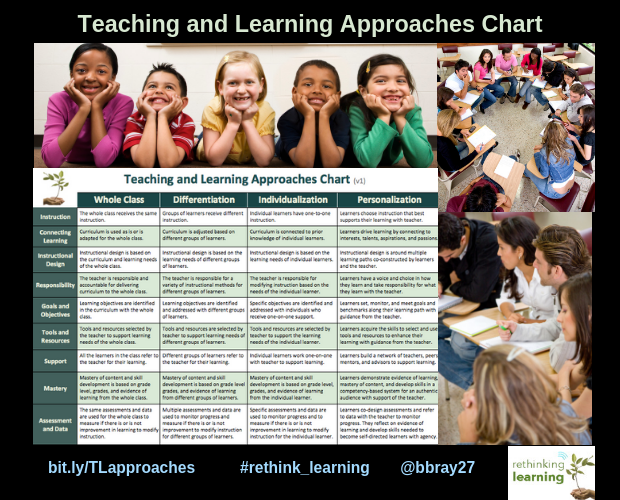 There are a free discussion and activity guide for teachers and parents. www.EnergyBusKids.com. 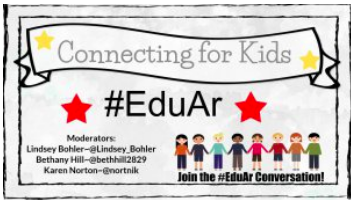 #EduAR for Arkansas is every other Thursday evening from 8:30 to 9:30 pm CST with me, . We focus on various topics and sometimes we do a series that might last two or three weeks on a particular topic. Sometimes the originators: myself, Lindsay Bohler @Lindsey_Bohler, and Karen Norton @nortalk, moderate together or alternate but we also have guest moderators too. We went on a long streak where we didn’t moderate at all because we had so many guest moderators lined up. 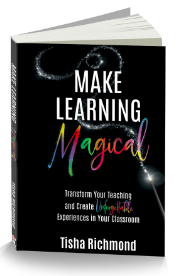 Some of the people include Dave Burgess, Todd Nesloney, Aaron Hogan and so many more awesome educators and authors. 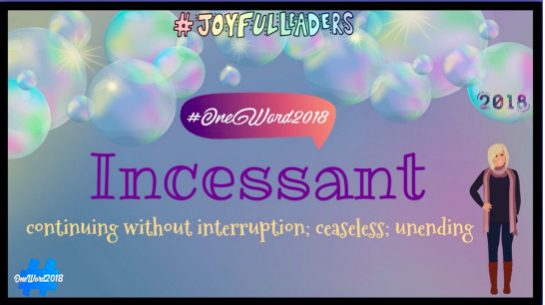 #JoyfulLeaders is where I’ve grown my PLN that just had its second birthday last December. 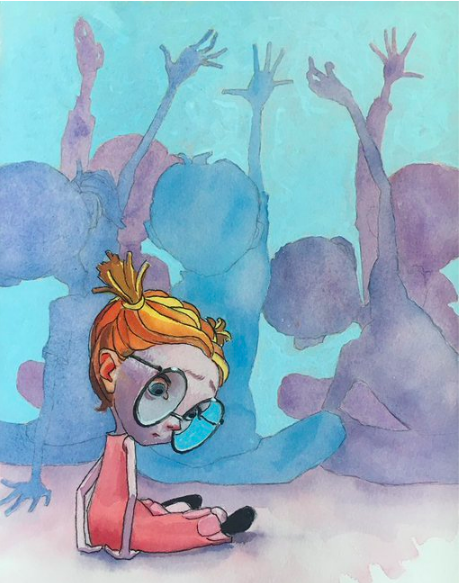 It started as a doodle in my journal. It is not a set time or a chat but it can be a daily dose of joy through ideas, quotes, graphics, animations, and small statements that go out in tweets. It is a really great place to go when you just need a little fuel to add to your day. 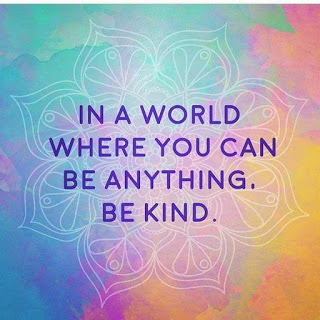 It can also be a place for you to share something that you feel can help someone else. What I love about is the people that go there to get things also contribute back to the Twitter feed so it just runs constantly and grows. I go there several times a day and see dozens of contributions to it. 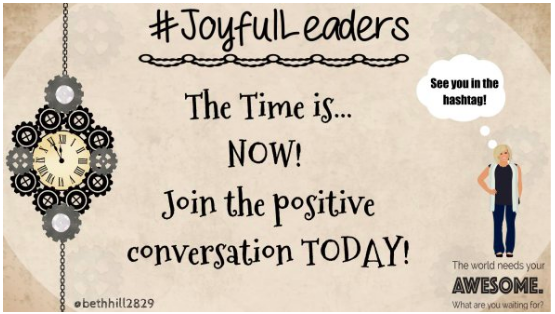 All you have to do is add the hashtag, #JoyfulLeaders. 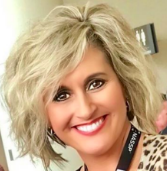 Bethany Hill serves as Lead Learner, Chief Energy Officer, and Chief Storyteller of Central Elementary (@CentralCabotpK4) in Cabot, Arkansas. 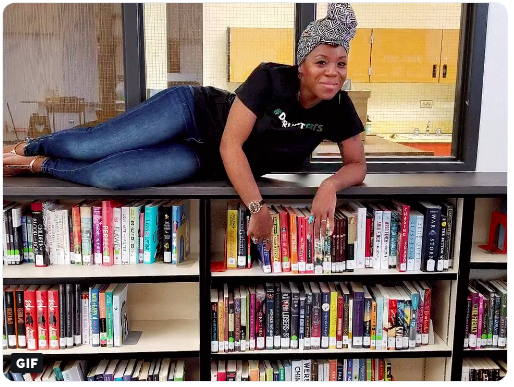 She has been in education for 19 years in the roles of kindergarten, first, second, and third-grade classroom teacher, curriculum coach, assistant principal, and principal. 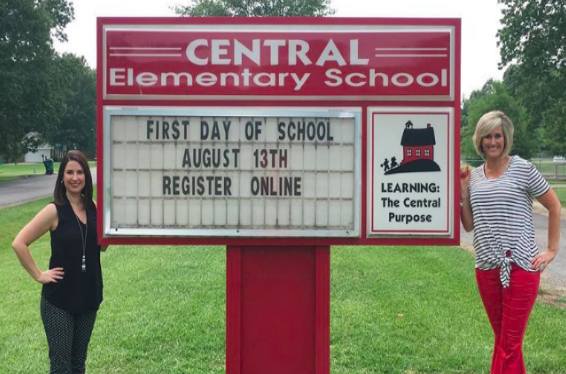 Central Elementary, where Bethany serves as the lead learner, became the very first Energy Bus for Schools Leadership Journey model campus. Since the summer of 2016, more than 50 schools have joined Central on the bus! 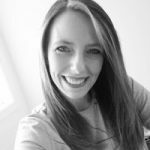 She is one of the originators of #EduAR, a weekly Twitter chat for the state of Arkansas. The chat takes place Thursdays at 8:30 CST. 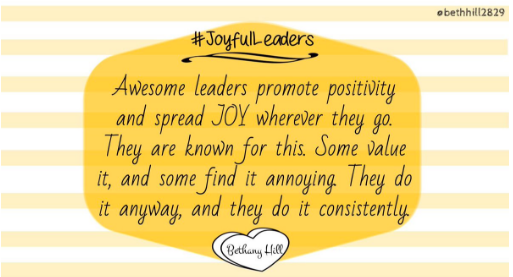 Bethany is the founder of #JoyfulLeaders, a movement on Twitter devoted to trending positivity in the education profession. Follow her Facebook Page, Inspiration for Educators to receive resources and positivity regarding education. 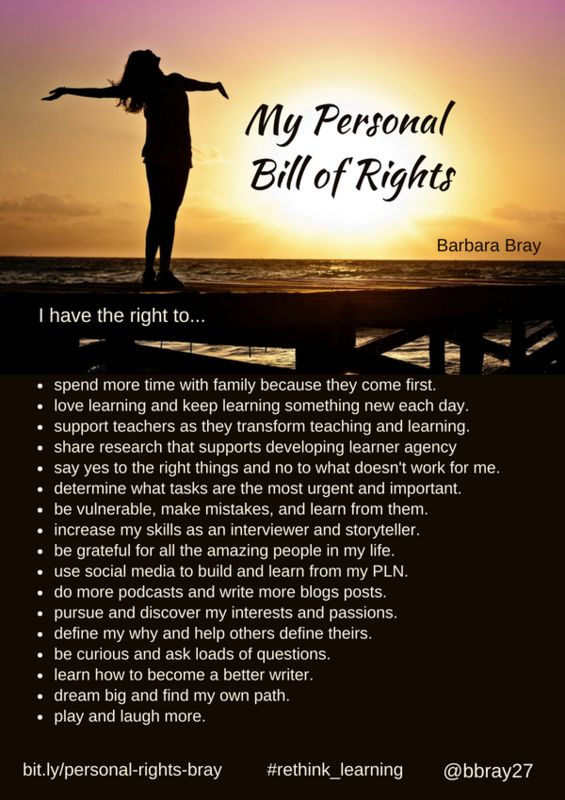 I took on a challenge to come up with a list of my own personal bill of rights from @BarbaraGruener that she shared on Twitter and in her post: My Personal Bill of Rights. She put out a challenge for others to post theirs, so I did. Barbara asked these questions for anyone who took the challenge to write their own. What would yours say if you took the time to write one? What do you have the right to . . . and to be free from? Start with twenty rights or so, then whittle it down to 15-ish. I started with 20 rights, then came up with 24, and then whittled it down to 17. I definitely know that these will change as I learn more about myself. I found this image from Pixabay that just goes perfectly with my feelings right now about these rights. 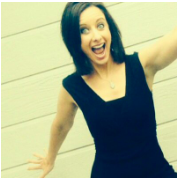 I will be adding in the future “jumping for joy” because I see more joy in my future. I also will be adding “balance” because I need to work less and play more. Life is just too short to not take time to enjoy it. I love my work and writing. I really enjoy doing the podcasts with awesome educators. The last few months I’ve been taking some breaks to be with family and friends. I needed to reflect on the direction I was going and realized I needed to do more to make my heart sing. 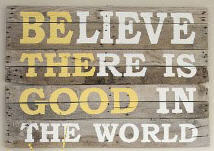 So when Barbara shared this, I felt it in my heart to do this and share what she encourages me to do with you. When you’re done writing, share it out and invite your mentors, role models and friends to do the same. Ask your colleagues or your students to write one. It might even be a fun idea for your immediate family, first everyone’s individual rights, then your collective rights. Let’s do this! Share your Personal Bill of Rights and tag me (@bbray27) and others on Twitter. 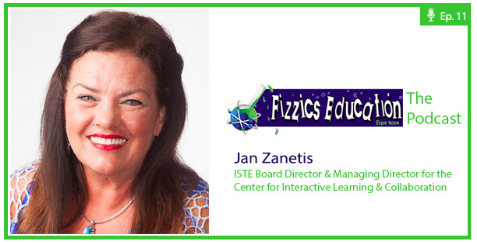 Jan Zanetis is the Managing Director at the Center for Interactive Learning and Collaboration and is currently serving on the ISTE Board of Directors as the Board Secretary. 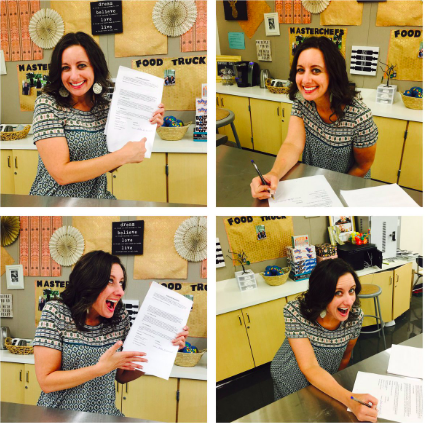 In 2015, Jan was awarded the coveted “Making IT Happen” award from ISTE. I’ve had multiple careers starting in the classroom. 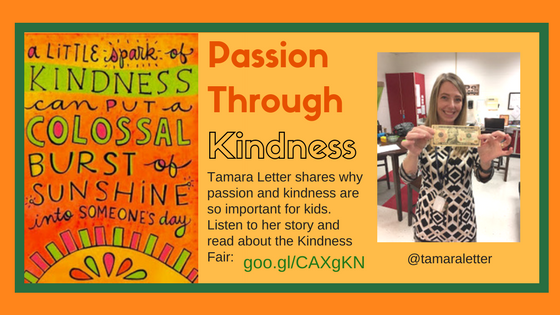 My passions have always been around opening the walls of the world to kids and classrooms. I live in Louisville, Kentucky by way of Nashville, Tennessee. I have three grown sons and one granddaughter 18 months old in New York City. I figured out when I was 13 years old working at Head Start that I wanted to be a teacher. I went to Peabody College in Nashville that is now Vanderbilt University and majored in special education and elementary ed. I ended up being a Title I Reading Teacher and worked with Special Ed and Gifted kids then a middle school teacher teaching science and loved Mrs. Frizzle, teaching hands-on, and personalized learning. I was teaching my kids to code in 1999. Nothing is really new. Everything is coming around again. I was producing videos with my students in the late 90s. I fell in love with interactive video back in 2000. I was asked to take a position at Vanderbilt running a virtual school. Ours were all live interactive distance learning experiences for kids for the city of Nashville for the science community then grew nationally and now is international. In those five years, that was the most fun time building a distance learning community. 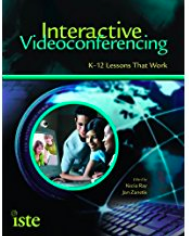 During that period, I met Kecia Ray and Camille Cole at ISTE and we decided to write a book about Videoconferencing in the K12 Classrooms published by ISTE. Video conferencing was different in the 1990s and it was very complicated. You had to have special phone lines to connect to other people which caused huge phone bills. You needed 8-12 phone lines to support the bandwidth of 384K. You needed an IT person because everything was done manually with remote controls. Then it switched over to IP based video in 2005 that made it easier because you didn’t need the expensive phone lines. In 2010, it switched from room-based codex video to cloud-based video which is so much easier for teachers. All they have to do is click on a link and they are in a video call across the world. Also, it is much less expensive than it was before. Now there are free or low-cost platforms like Google Hangout, Skype, and Zoom which we are using to connect for this conversation. I was hired by TANDBERG in 2005 as their Global Education person. That was a lot of fun too. 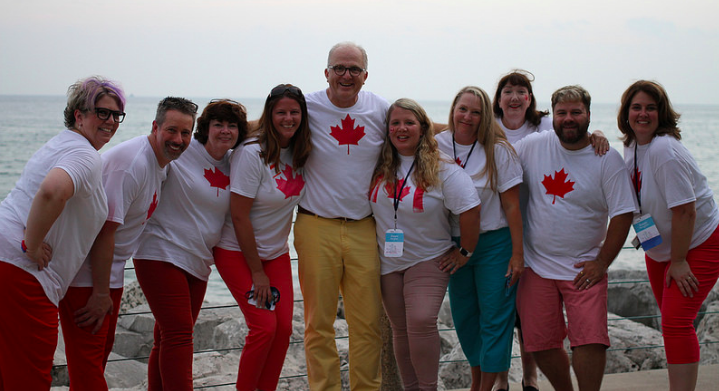 I got to travel the world and meet all these great educators. I worked for CISCO from 2011-2013, I worked with the people who did virtual excursions which were the Australian version of CILC. Yes, I lived in Australia during that time. In 2013, I became the Managing Director of CILC (Center for Interactive Learning) a non-profit that has been around for 25 years. CILC is like a match.com between teachers and organizations to connect to museums, art galleries, authors, artists, and more. We have over 200 video programs with schools around the world typically reaching almost 3,000 kids a day. A lot of our programs are free like the ones from the National Parks and Smithsonian Institute. We also have a collaboration center is an area where teachers can go look at or post collaborative projects. You can browse the projects, past projects, or post project ideas where kids can talk to other kids. It could be a debate, a student-created presentation, or in other ways. As an educator and university administrator, Jan Zanetis spent 20 years in K-12 and Higher Education. In 2005, she moved into the corporate sector as an education specialist, first for TANDBERG and then Cisco Systems. In 2013, she began her current role as the Managing Director at the Center for Interactive Learning and Collaboration. Jan feels very lucky to present at educational conferences, regionally, nationally and internationally. Jan’s area of expertise is the application of video technologies in education. 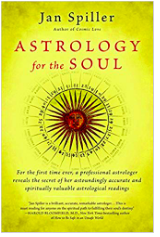 She has written extensively on this topic for education journals and has co-authored two books. Jan is an active member of several professional organizations including the International Society for Technology in Education (ISTE), the United States Distance Learning Association and the Consortium for School Networking. She often presents at educational conferences, regionally, nationally and internationally. Jan is currently serving on the ISTE Board of Directors as the Board Secretary. 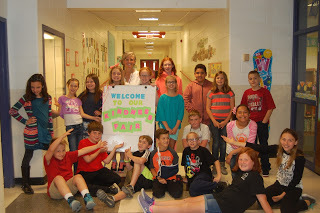 In 2015, Jan was awarded the coveted “Making IT Happen” award from ISTE. 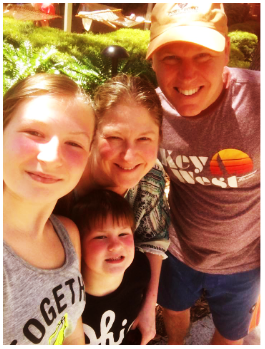 Jan holds a bachelor’s of science from Vanderbilt University in elementary/special education and an M.Ed. from Tennessee State University. Dean Shareski is the Community Manager for Discovery Education Canada since 2012. 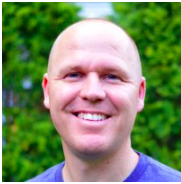 From 2002-2012, he worked as a Digital Learning Consultant with the Prairie South School Division in Moose Jaw, SK, Canada. Previous to that Dean taught grades K-8 for 14 years and specializes in the use of technology in the classroom. 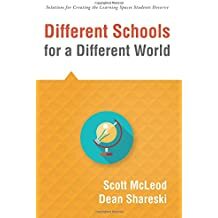 Dean wrote “Embracing a Culture of Joy” and a new book with Scott McLeod, “Different Schools for a Different World.” I’ve been lucky to attend several of his keynotes and am honored to have a conversation about culture, joy, and so much more. Dean mentions no selfies but I’ve had a few with him so I had to include one. We didn’t talk about why he loves to take pictures of people jumping but I had to add a picture of Dean jumping. Below are a few excerpts from the podcast, some of his presentations, and about his books. I always share my family in my presentations. It is controversial about how much to share about your personal life. I’ve always focused on the idea that you learn from people you like and there has to be some kind of connection so you can relate to them. 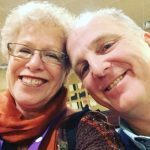 So I hope that sharing my story helps connect to some of their own experiences. We live in the middle of Canada. My wife is an educator also and we have four wonderful children, three of whom are married. My youngest is in her first year of post-secondary school. Most exciting of all is that we are grandparents for the first time last October. 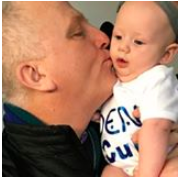 Everything I talk about now is about my granddaughter who is just a real joy and delight. When I first started teaching in 1989, there wasn’t a lot of technology around. We were just starting to get a computer or two in the school. The idea of a computer lab kind of emerged somewhere in the mid-90s. I didn’t have any specific fascination with technology more than probably most teachers did then. I kind of remember a distinct turning point for me around the use of technology. One was access to a video camera and a digital camera which I took home and used first as a way of documenting my family. Then I started thinking how these could be used with students. 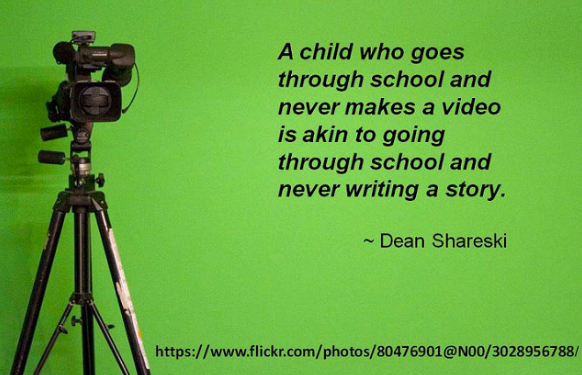 I remember giving a session on an in-service day sharing what I learned about the digital camera with other teachers. That began my journey using technology and moved pretty quickly to the late 90s to where I believed that it had great potential. As the Internet began to emerge and software became more user-friendly, there was more of an opportunity to explore and use those resources. When I think of technology, the whole media production aspect is what I captured my interest. I began teaching first grade and there weren’t many opportunities for them to create at that time. But when I taught middle school, there were a lot of opportunities so I had kids doing video production and even did video poems and other powerful stories. When I look back I was lucky to work with small groups of gifted students where I could really explore with and learn from them. It was an important time in my own learning. 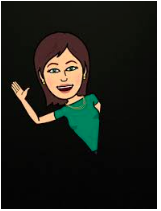 I became the Digital Learning Consultant in 2002 at our school district. 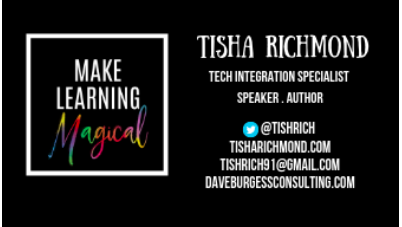 I adopted that title Digital Learning Consultant to support the district-wide use of technology and pedagogy instead of Technology Coordinator. That was a great experience and opportunity to go even deeper with my own learning. For better or worse, by design or by luck, I tended to reach out to people I thought might be interested. 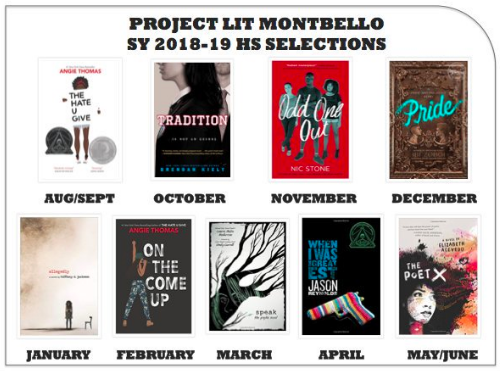 I’d find something new and go to a school and share with a teacher what I thought would be perfect for them or mention to another teacher that they might be interested in this. It’s interesting that they say we might have to get everybody doing the same thing in the spirit of equity, and at the same time, some teachers were not ready for it. There was no way they were getting the kind of background. That approach may seem somewhat haphazard really was exciting. I never came up with huge resistance. Some teachers were not ready for blogging where others requested my support. Forcing something on teachers was a mistake that we had made and continue to make. Somebody’s good idea for everybody isn’t the right approach. The idea of moving toward something when you are ready is a better way of approaching change than forcing everyone to change. It’s better to have some time and ownership first. That was a nice opportunity for me in 2011 and was asked if I would like to do this. Discovery had been developing a community for many years in the US and had a presence in Canada, but it was more of a third party presence. They were just reselling their products to the school districts. In fact, in my role as Digital Learning Consultant, I helped bring Discovery to our school district. But they really wanted to get the community idea rolling so people are feeling connected. I first took a leave of absence from my district, but after two years I continued as Community Manager. It is a fabulous role. The work we do is so rewarding, interesting, challenging, and I work with such good people. It’s a move I never regret doing really important work. Dave Weinberger wrote a book “Too Big to Know” about what do we do with so much information. He is the one that quoted “the smartest person in the room is the room.” For me, it was a personal testament to the fact that I had made so many connections over the years around the world. In 2005, I started blogging, and then in 2007, started Twitter and go to some conferences. The online connections became really real to me. It became evident in my role that there were people that I what I knew about video production, that there are people that know way more than I do. So why not connect to those people? 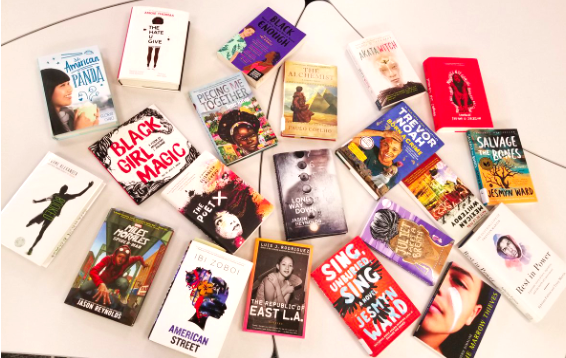 The moment you bring an Internet connection into the classroom, you open up your students to a vast world of knowledge and possibilities. Many teachers are beginning to realize this but are struggling to make it a reality. 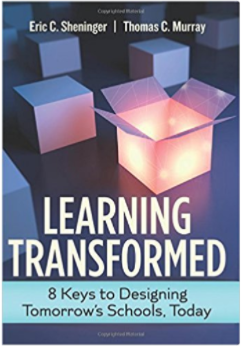 The shape of knowledge is shifting and what we as teachers and leaders can do to model ways to leverage the best of what this new frontier can offer. 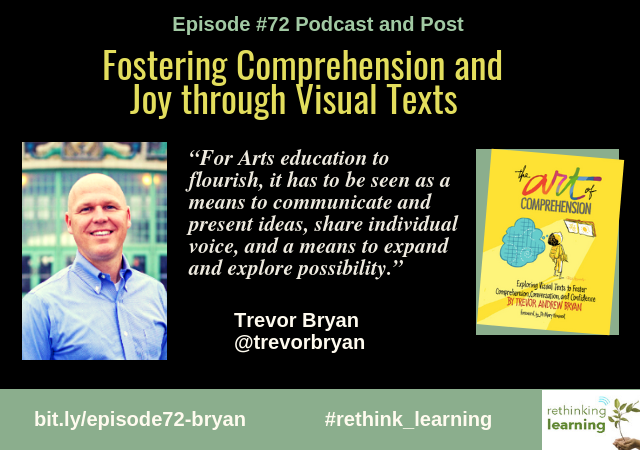 In a data-driven, achievement focused system, does joy in learning matter anymore? Not that these are mutually exclusive but in our attempts to see results we often forget that joy should not be a means to an end but a worthy and important goal on its own. So how do we ensure our students experience joy and wonder every day? Dean Shareski is the Community Manager for Discovery Education Canada since 2012. From 2002-2012, he worked as a Digital Learning Consultant with the Prairie South School Division in Moose Jaw, SK, Canada. Previous to that Dean taught grades K-8 for 14 years and specializes in the use of technology in the classroom. 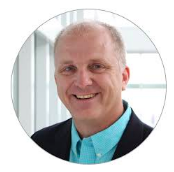 Dean holds a Masters of Education in Communications and Technology through the University of Saskatchewan and is also a sessional lecturer at the University of Regina. Dean mostly blogs at Ideas and Thoughts but occasionally for Tech and Learning Magazine and the Huffington Post as well as on the DEN blogs. 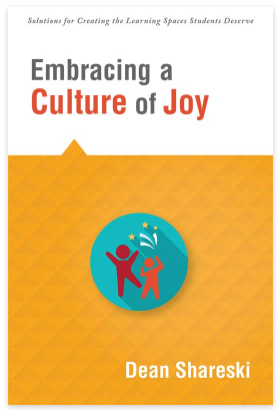 In 2016, he published a book called “Embracing Cultures of Joy” which details and summarizes my work and belief around a topic that best describes my beliefs around learning and community. When you walk into your school, what do you see? Are kids motivated to learn? Do you see effort and persistence? Are teachers excited about all the kids in the school? 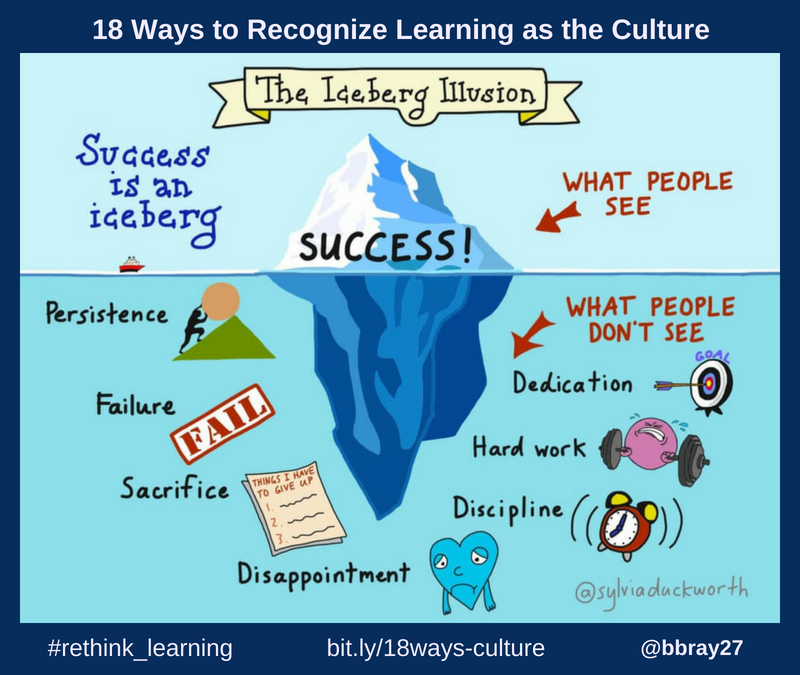 Just as the Iceberg Illusion by Sylvia Duckworth, @sylviaduckworth, shows, sometimes we only showcase success after learning has happened. 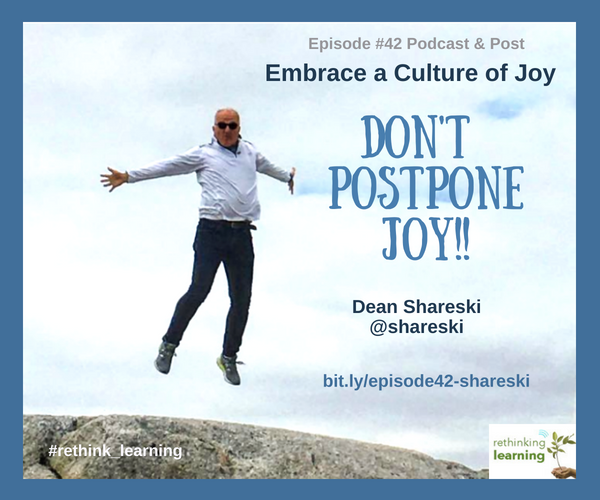 This post is about creating a culture of learning that is visible in your school as learning is happening. Why do we need to do that? The idea of school is changing. It has to now because the world has changed and keeps changing. 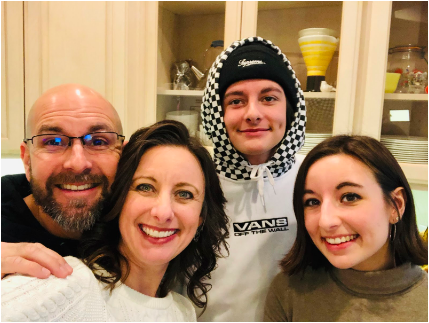 Life for our kids is so different than it was ten or even five years ago. 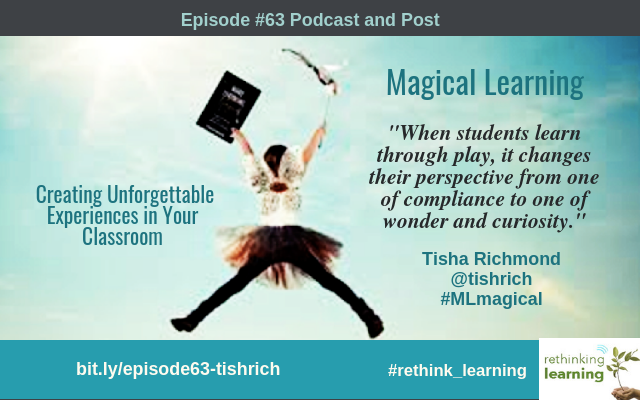 For learners to grow and flourish, we need to create learning environments where every child is recognized as a learner while they are learning. Some kids never get showcased or recognized. A culture that values every learner will empower them to discover the joy of learning. Schools have been doing things the same way for hundreds of years. Culture change or shift is defined as lasting changes to the shared ways of thinking, beliefs, values, procedures, and relationships with the stakeholders. A school needs trust in changing beliefs, values, and relationships. Change is a difficult process. There are so many types of relationships in schools that impact how people think about school. Teachers and leaders are learners, too. 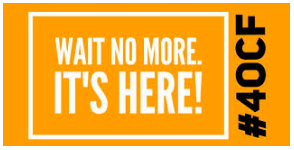 When the bell rings and students don’t leave because they are in the midst of an engaging conversation. When students are fully attentive as the teacher reads them a story. When students cheer at the success of a third try at a science experiment. When a teacher asks students about their soccer game. When a student solves a difficult problem. When a student comes in early to work on a project. When a teacher acknowledges a student as an expert. Lead by example even when (initially) it might be a lonely place. Real change comes from colleagues modeling expectations for one another. Encourage colleagues who might be resistant to change to attend professional learning opportunities with you. At the very least, make sure you share your experiences during a faculty meeting or in personal conversations. Be patient. 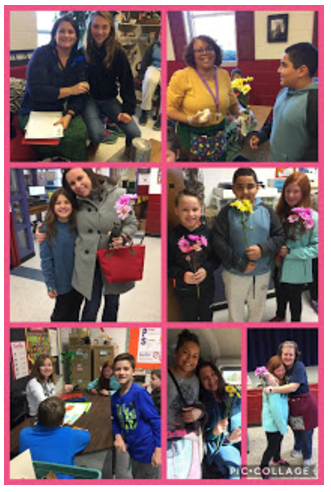 Like you would your students, treat your colleagues with respect and remember how satisfying and rewarding it is when you help students succeed. Get your students involved. There is no better way, in our opinion, to convince educators to change than when they can see firsthand the impact it has on kids. Film your teaching. 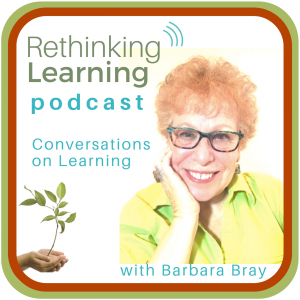 Are you talking more than your learners? Are they not listening or were you too focused on covering the curriculum? Have students time for you. Set the timer for 10 minutes and when it goes off, stop talking. If you need more time, negotiate with your students. Give them time to be experts. 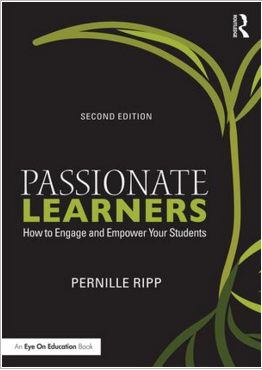 Find out what your learners are passionate about. Then facilitate opportunities for them to share their expertise. Stop answering all of their questions (or at least some of them). Ask a question back instead of answering or refusing to answer. 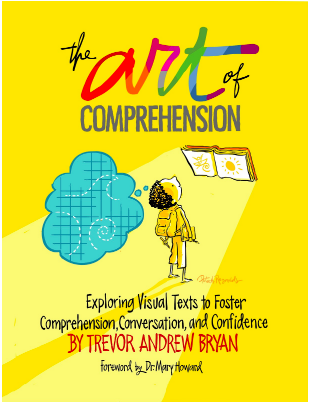 Ask something like “How will you find out?” and maybe keep going by asking “How else can you find out?” Also, wait and see if other students share the answer or help another student. Don’t stop asking yourself the hard questions. 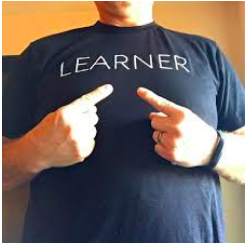 Would you still like being a learner in your classroom? Trust in yourself and your ability to create a better environment for all the learners who are in your class. Push yourself forward so that you do not become stuck in a routine. Learners change every year and so should our approach. I want to come back to the idea of the Iceberg Illusion from Sylvia Duckworth at the start of this post. What is the culture you see when you go to your school? What are you missing? Is it only about the successes you see or is it the learning culture that happens every day? 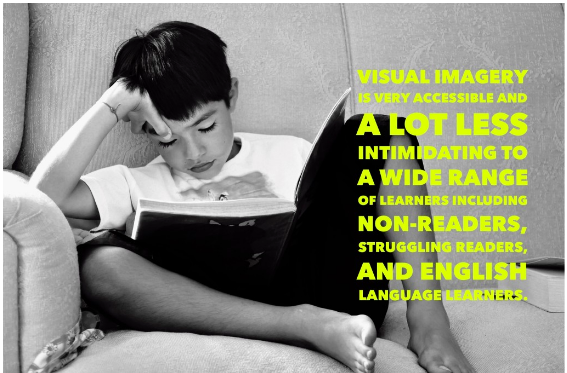 How can you make learning visible so every child is valued? Thank you, Dean Shareski, Eric Sheninger, Tom Murray and Pernille Ripp for sharing your writing and ideas with the world! I highly recommend educators and those in my PLN to read your books. Thank you, Sylvia Duckworth, for giving me permission to use your drawing in this post. 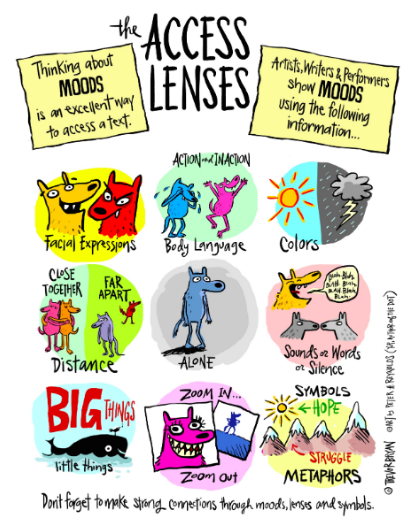 For more information about her work, please go to sylviaduckworth.com. If you have any tips, resources, or comments on creating a learning culture, I welcome you to share below.